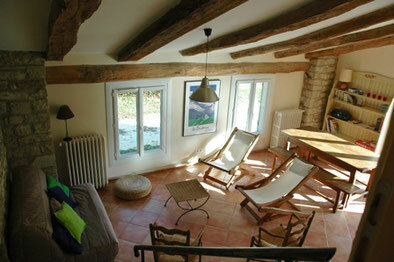 For the rental of the whole cottage, a security deposit of 300 € is required. It will be returned at the end of the stay after the walk through checking. it is best to contact us directly. Deposit 30% of the price of the stay or minimum one night. The balance is settled upon arrival. On the day of arrival, the rooms and the cottage are available from 4pm. Notify us for an arrival after 7pm. On the day of departure, the rooms and the gîte must be vacated by 11am. The Mas has a WIFI connection. Mobile phone providers are not always efficient. It may be a nod from the operators to allow our guests to reduce, for a time, communications with the outside world. However, don't forget to inform your correspondents. In order to appreciate the song of the cicadas or the sound of the small waterfall, please respect resting time, at night or during afternoon nap time.